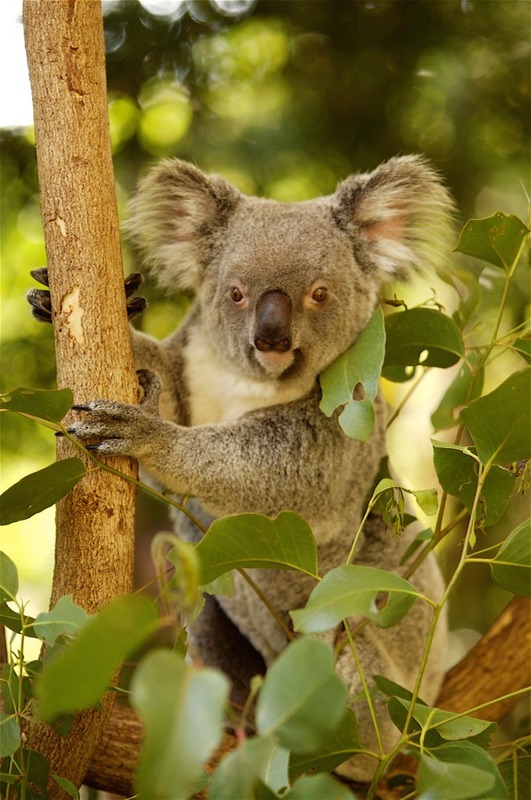 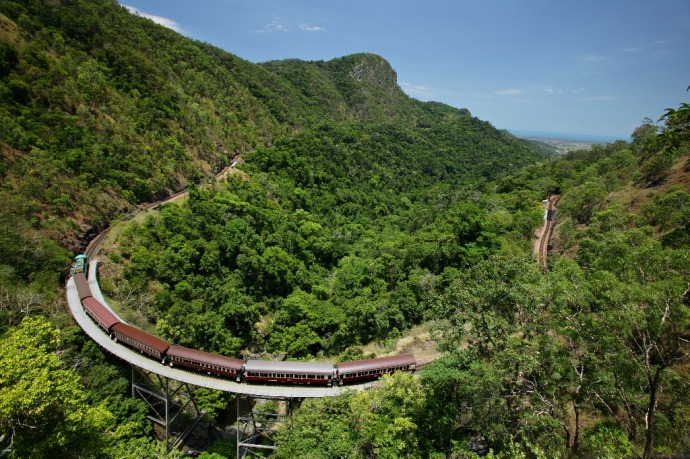 Cairns Tours offers the 'Tropical Traveller' six night package. 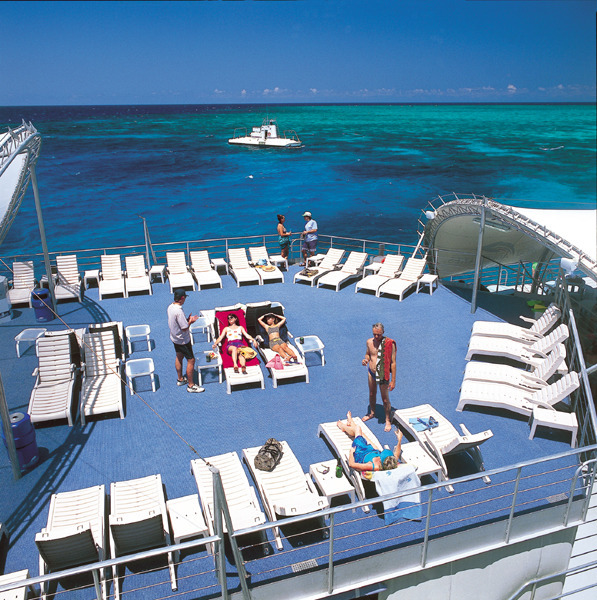 Designed to make the most of your holiday with an exciting itinerary. 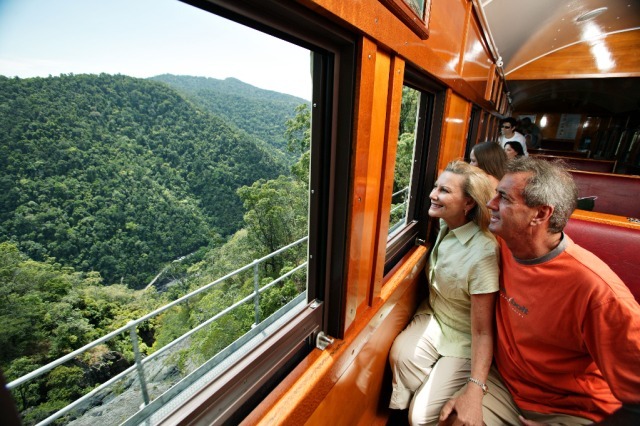 Experience breathtaking scenery, diverse destinations, brilliant natural beauty and iconic attractions balanced with one day free time to include your own selection of local sightseeing or relaxation. 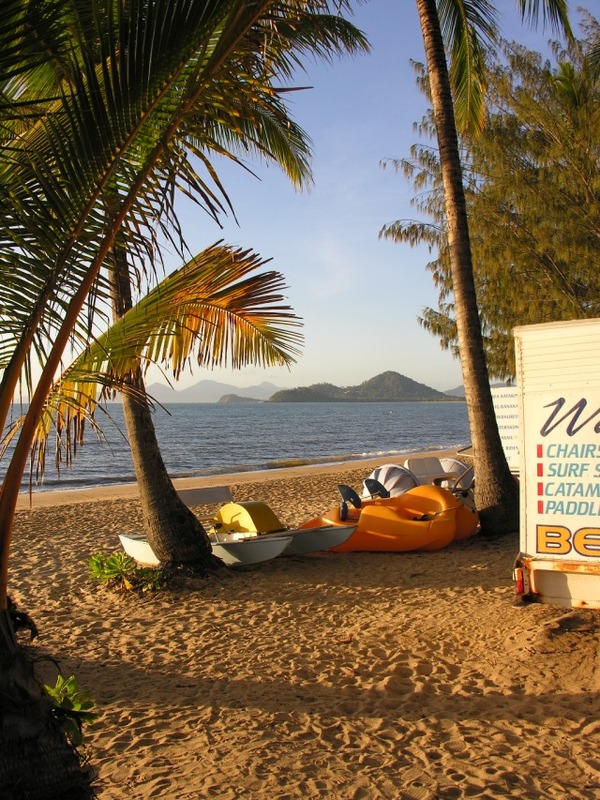 6.00pm: Meet your Traveller Representative in Mantra Reception for a tour briefing and short 10-15 minute orientation of Cairns City. 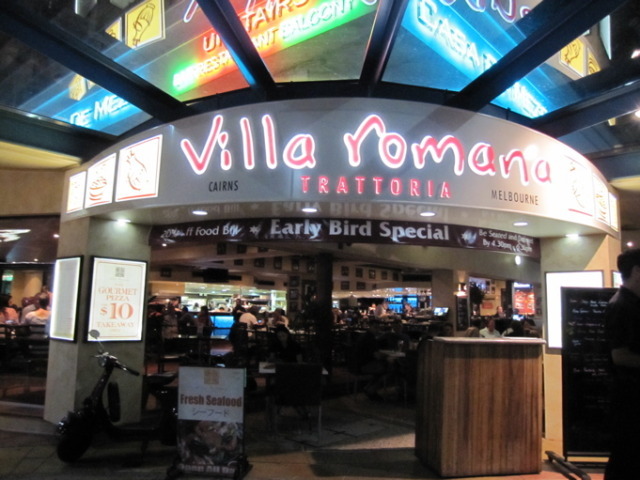 From 6.30am: Enjoy a Full Buffet Breakfast at "Villa Romana" available between 6.30am - 10.30am. 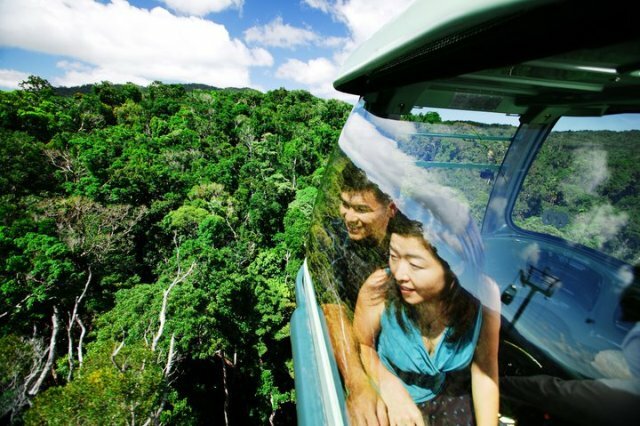 A Cairns Tours coach will take you for your Daintree Walkabout tour. 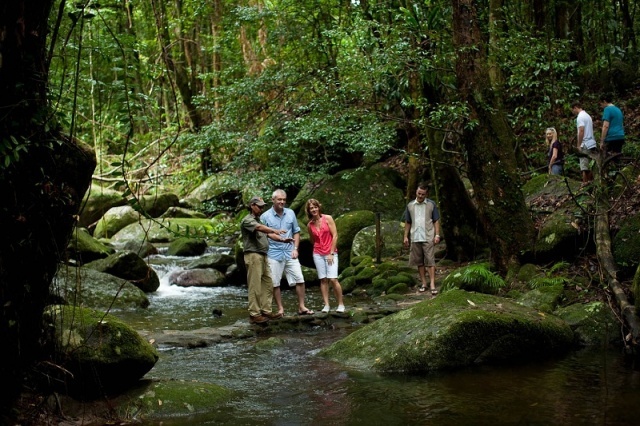 First stop is Mossman Gorge where you join the Kuku Yalanji Dreamtime Walk. 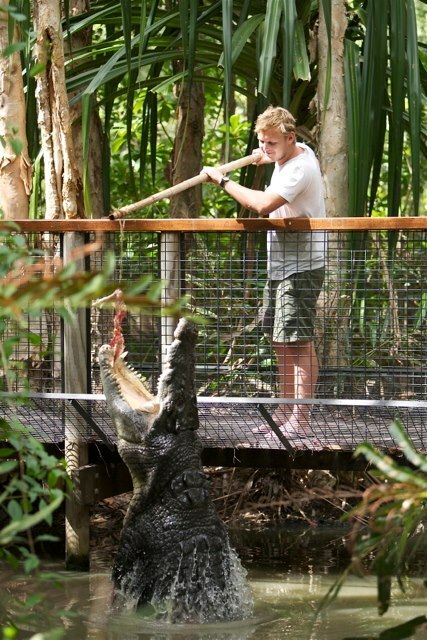 You will be treated to an easy, guided rainforest walk along a private track (approx. 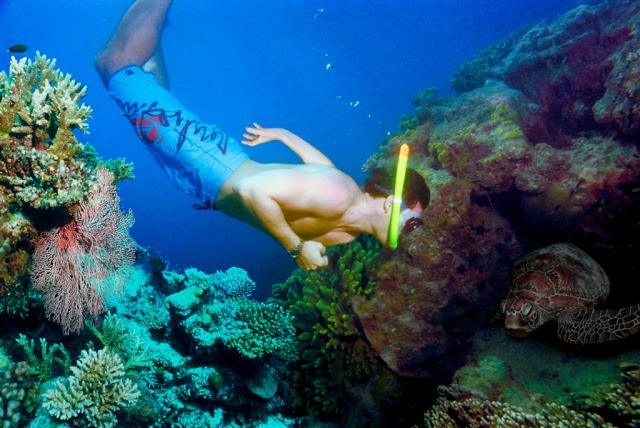 600m in total). 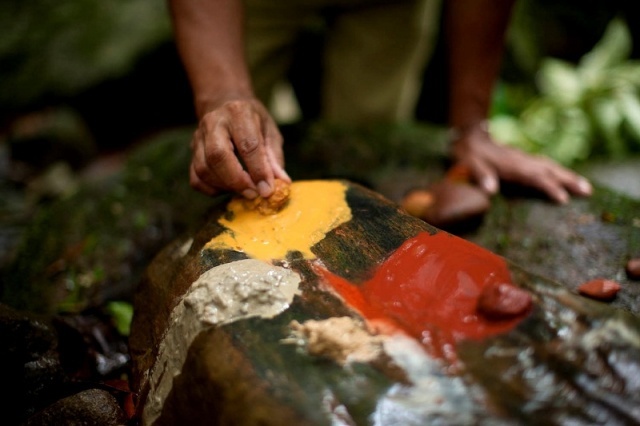 Your experienced interpretive Indigenous guide will demonstrate traditional plant use, share their dreamtime legend and explain the history of the cave paintings and their special relationships with this unique tropical environment. 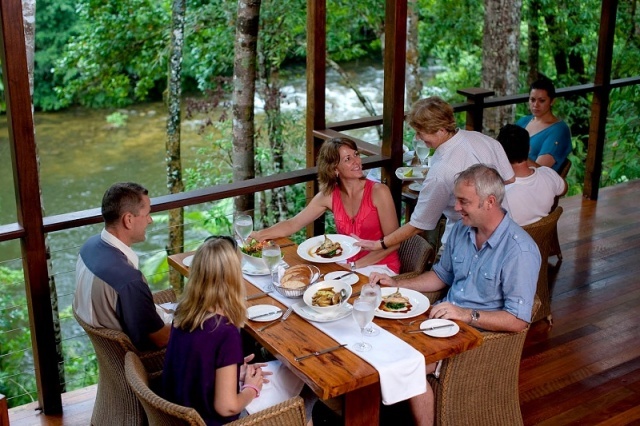 Enjoy Tea and damper and question time with your guide then on to the township of Mossman, arriving at charming Silky Oaks Lodge for lunch overlooking the Mossman River. 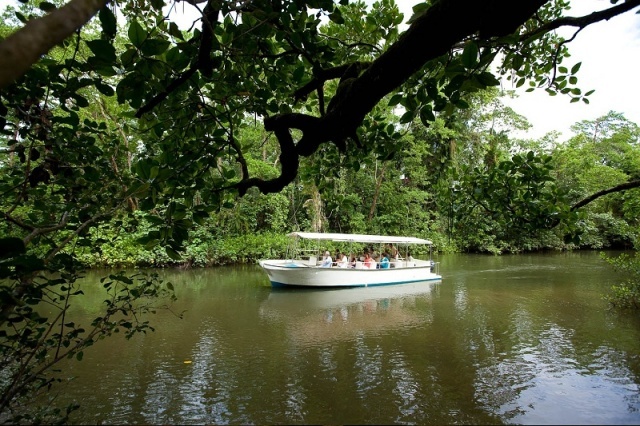 A short drive after lunch and you board for your Daintree river cruise. 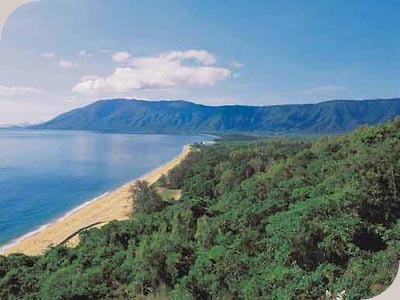 Finally a stop in the resort town of Port Douglas, before taking the spectacular coastal drive back to Cairns. 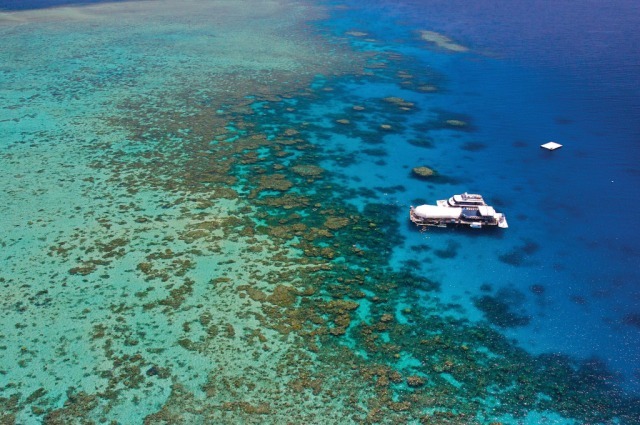 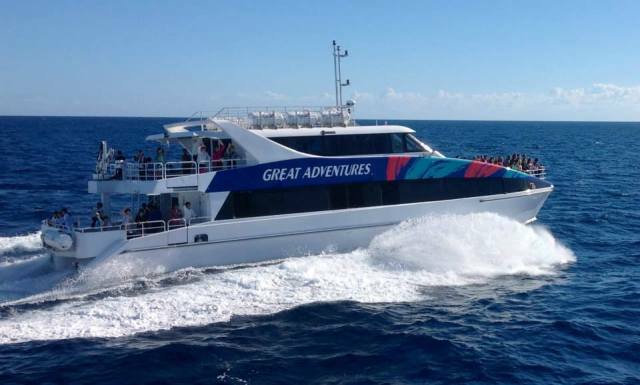 9.30am: A Cairns Tours Coach will transfer you to the Reef Fleet Terminal where you will depart for the Outer Great Barrier Reef with Great Adventures Cruises. 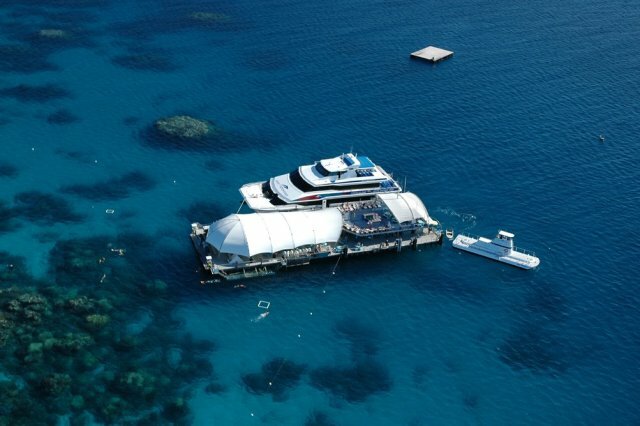 You will spend around 3 hours on the pontoon today. 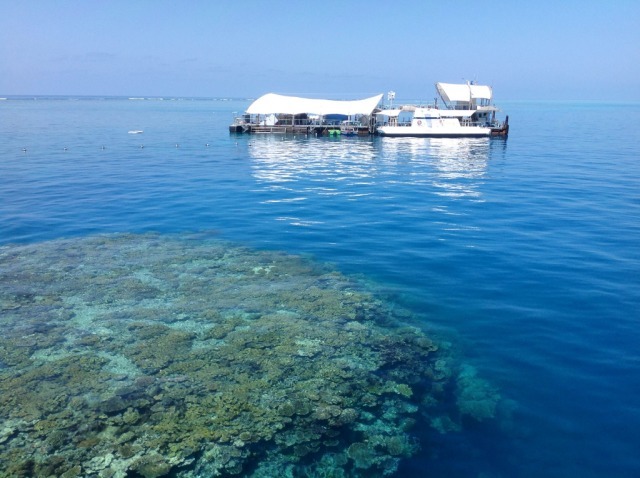 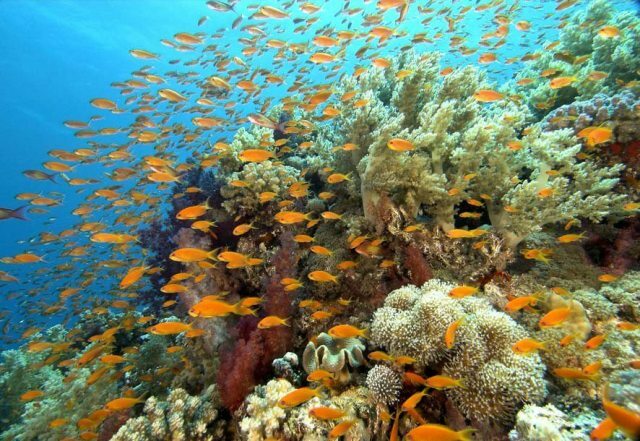 Enjoy your day snorkelling, swimming; view the wonders of the reef from the underwater viewing area, spend some time with the marine biologists and take a tour on the semi-submersible submarine. 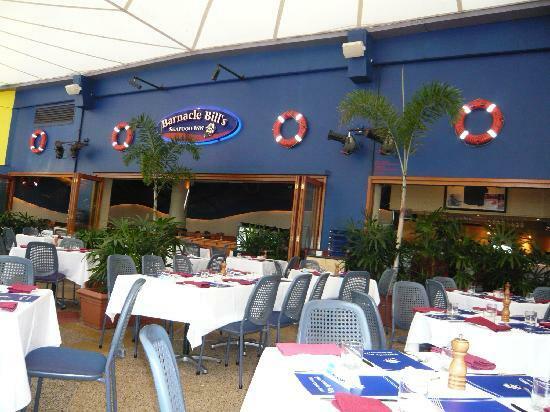 Included in your day are morning & afternoon tea and a delicious hot and cold buffet lunch. 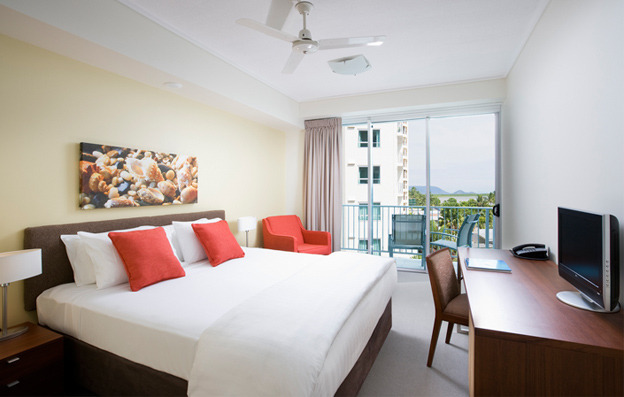 A free day to discover Cairns, maybe visiting The Lagoon, an Art Gallery, The Botanical Gardens, St Monica's Cathedral or some shopping. 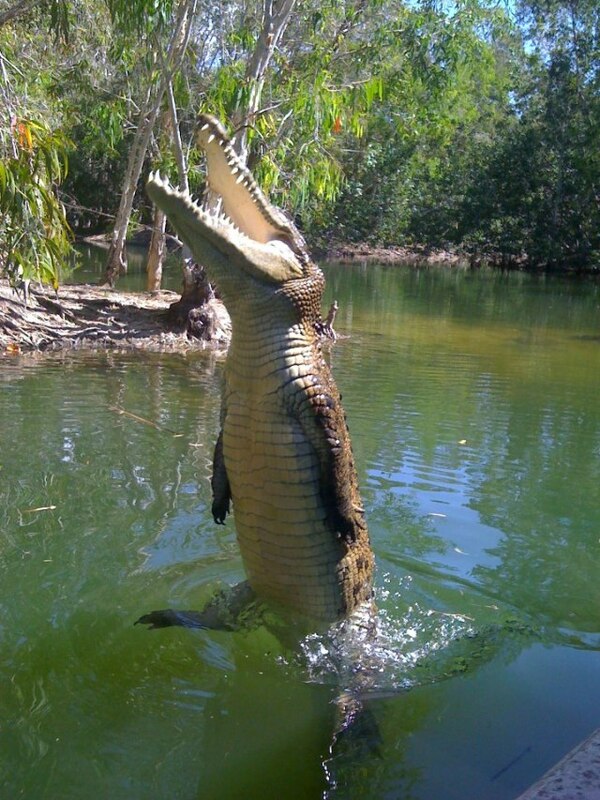 12.05pm: A Cairns Tours coach will transfer you to Hartley's Crocodile Adventures - the best place to see crocodiles in Tropical North Queensland. 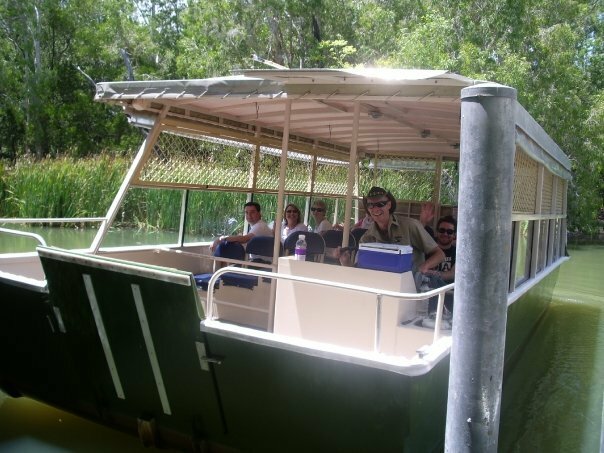 Join us for a unique eco experience on the lagoon cruise through the ecologically significant Melaleuca wetlands; the domain of the saltwater crocodile. 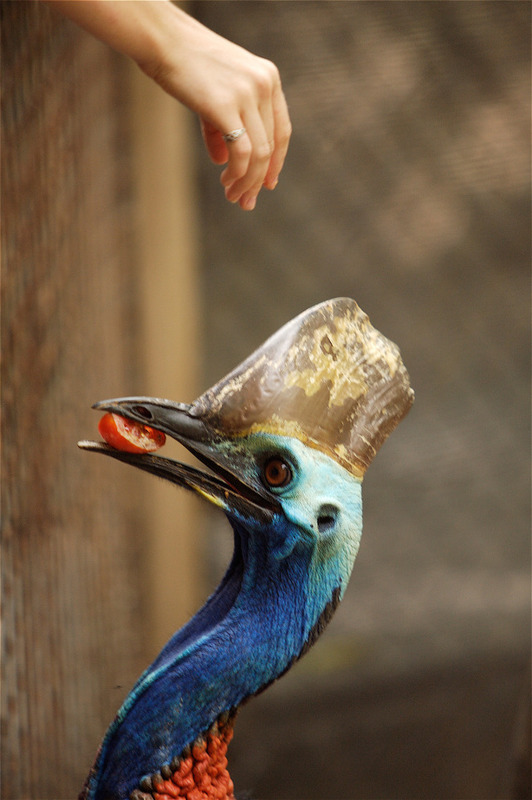 Explore the rest of the park with its abundance of wildlife, including water birds, turtles, wallabies and cassowaries. 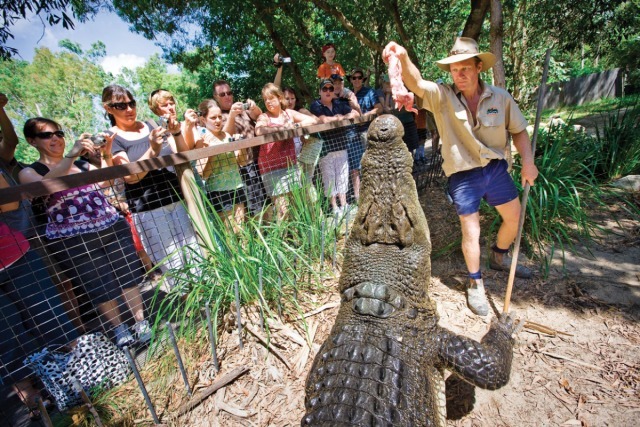 See the notorious head shake and death roll of a huge crocodile at the Crocodile Attack Show and the opportunity to hold a crocodile for a photo (own expense). 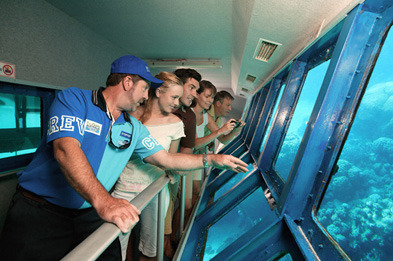 Discover the world's most venomous snakes at the Snake Show before the return transfer to your accommodation. 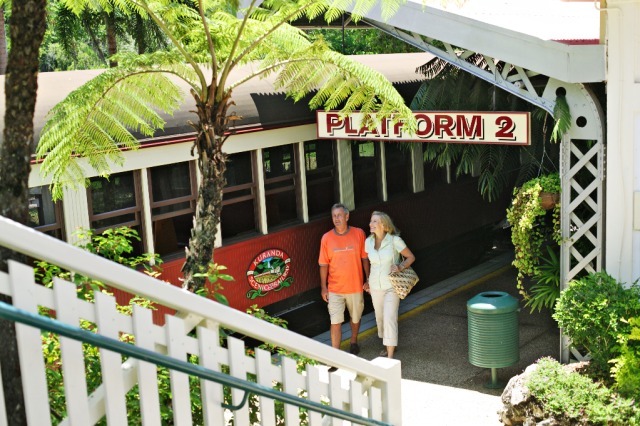 10.15am: A Cairns Tours coach will pick you up for your Kuranda Day Tour. 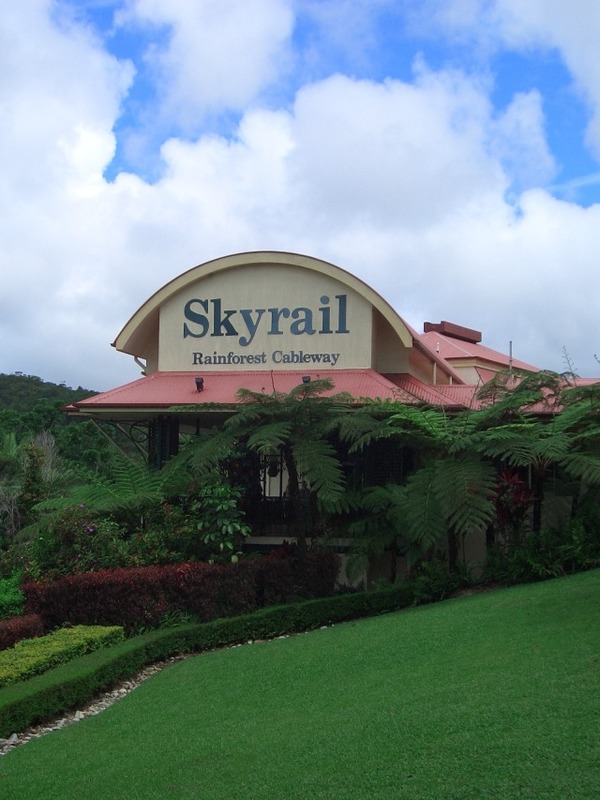 First you’ll enjoy the spectacular views above the rainforest canopy aboard Skyrail, your cableway to the charming Kuranda Village. 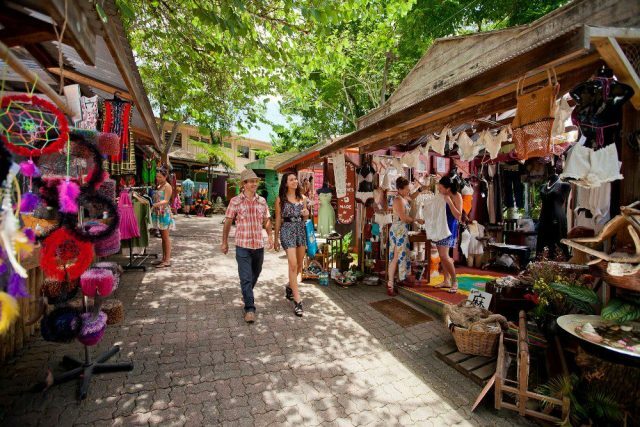 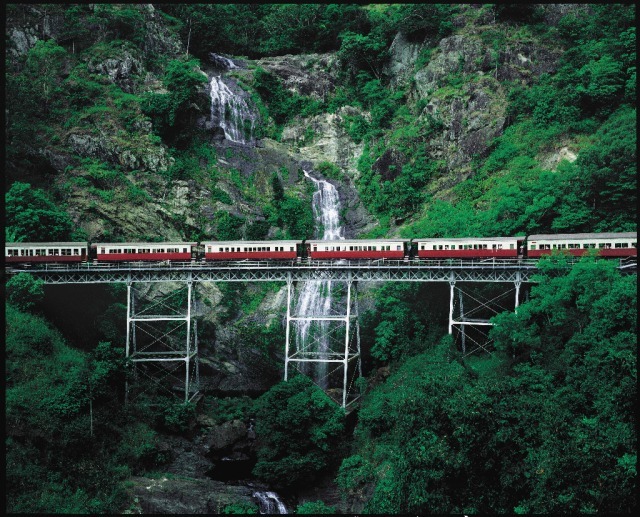 Then time is allowed to explore the Heritage Markets and thiss quaint village before boarding the historic Kuranda Scenic Railway for your return trip to meet the coach at Freshwater Station for your transfer back to the resort. 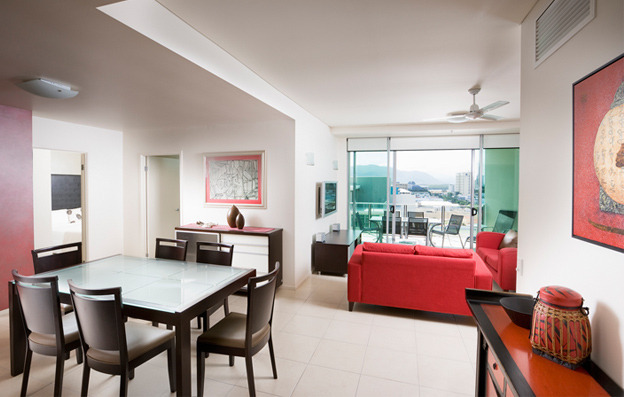 If your flight departs in the afternoon it is possible to leave your bags at the reception for the day. 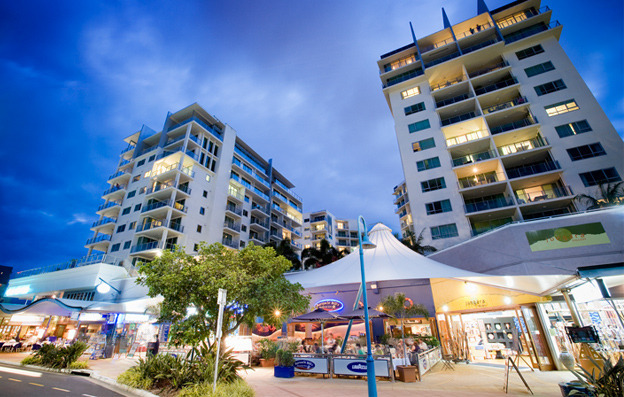 If you're looking for something to do: On Saturday mornings we have the Cairns Rusty’s Markets on Grafton Street within walking distance from the Mantra Trilogy. 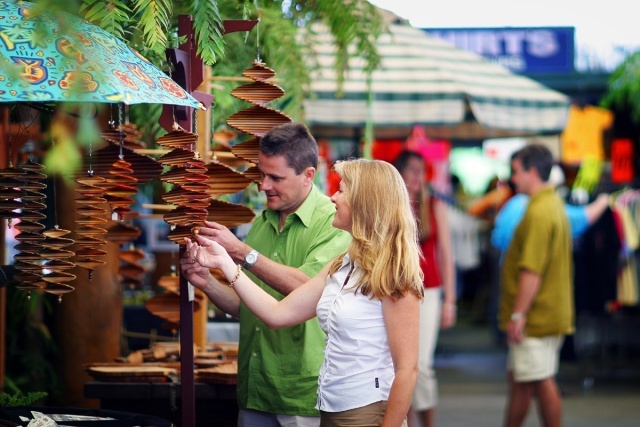 Here you will see many local and exotic fruits and vegetables. 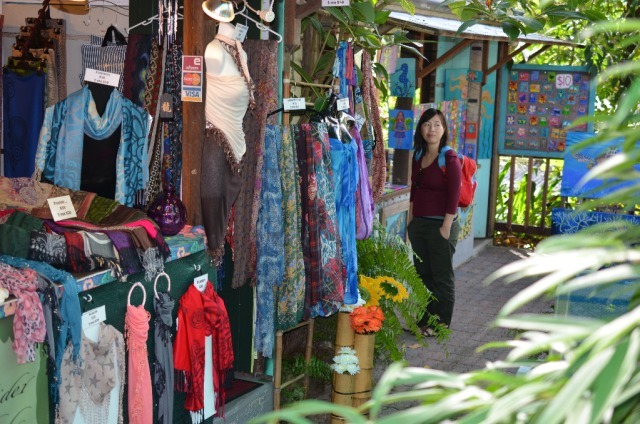 It's a colourful place to wander around. 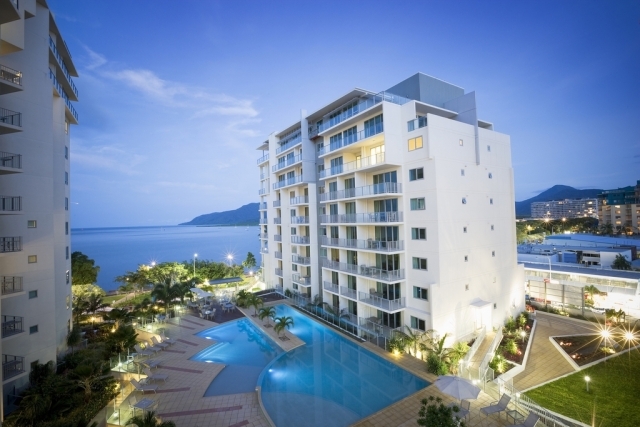 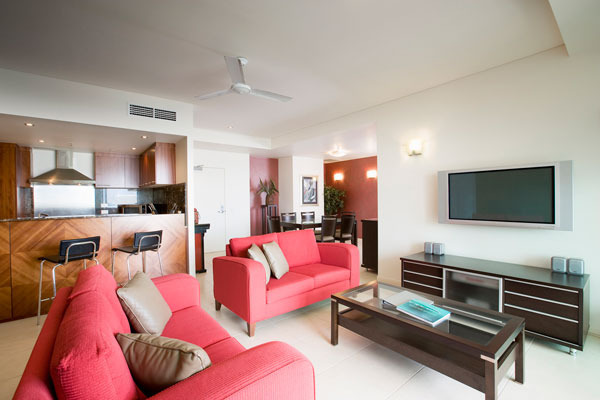 From Cairns Airport to Mantra Trilogy we suggest you take a taxi. 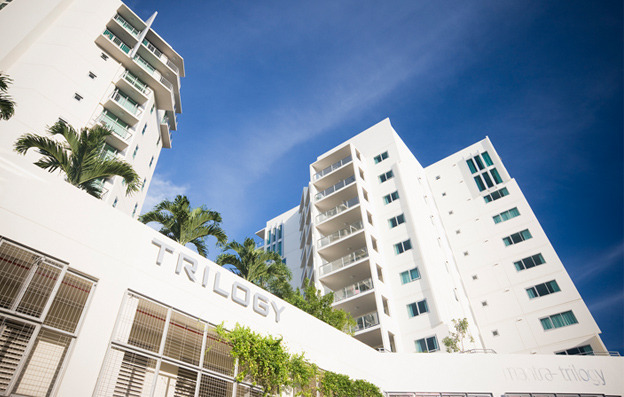 This is a convenient and cost effective way to get to Mantra Trilogy for 2 or more people. 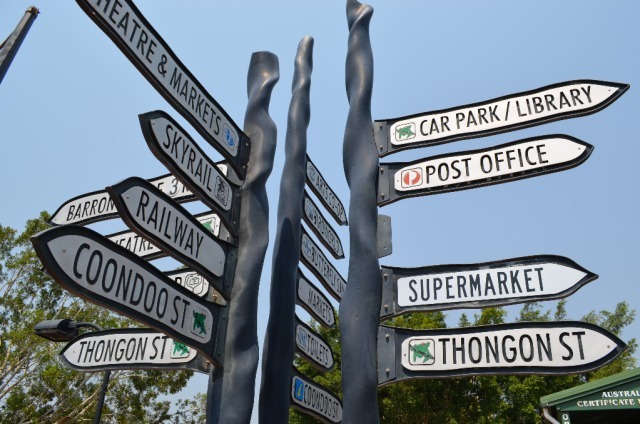 If travelling alone an Airport transfer is better value. 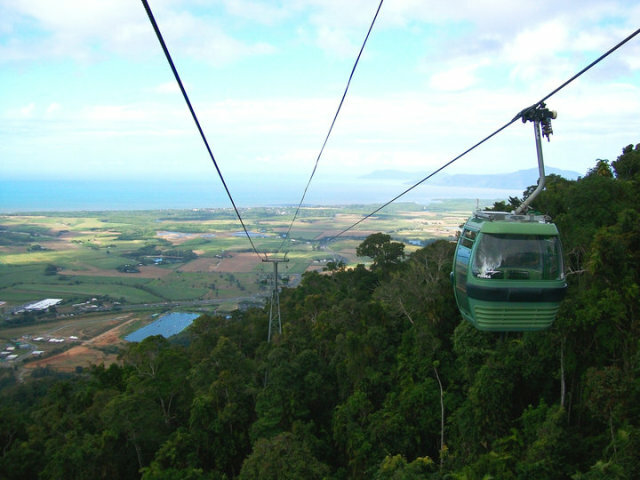 As Cairns is situated in a Rainforest, if you did not bring a raincoat with you, we suggest you purchase a poncho to take with you on your Tours, just in case!